There are very few heroes from America’s early history that have as much color as Ethan Allen. Growing up, I remember reading stories about his exploits in the public school that I attended, but frankly, his actual story is so much more interesting than the recitation of dates and events that we were fed. Frankly, as I have studied the man more carefully in doing this project, I would venture to say that he is the epitome of a submariner in more ways than one. The obvious part is that he was a great adventurer who was willing to make many sacrifices in the causes he was committed to. That is obvious form his independent spirit, his rejection of the status quo, and his determination to sacrifice anything for his beliefs. What joins him more closely to a submariner than most of his contemporaries is his absolute passion for rum and his unrestrained use of language that would make a school marm blush and fall faint with distress. Early stories that were written with no filters talk about his prowess with foul and harsh language that he used as proficiently as he used his rifle and edged blades to cut an opponent down to size. 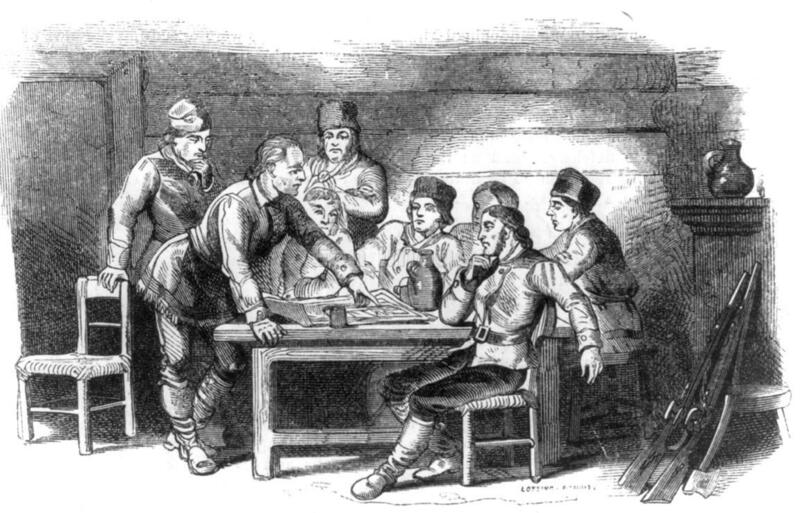 Green Mountain Boys in Council by Lossing-Barritt. Image published: 1858. Depicts patriot Ethan Allen examining a map at a meeting of the Green Mountain Boys militia during the Revolutionary War. On the night that he determined to lead the Green Mountain boys to capture the Fort at Ticonderoga, it was numerous helpings of a fiery mix that contained Rum and Hard Cider that set the course of action in motion. He was also not very patient with a poser named Benedict Arnold who had been sent to help lead the attack. The earliest book I can find that tells his story was written in 1833. He is recorded as being both crude and educated by most that knew him. His language was not tempered but neither was his quest for great justice. 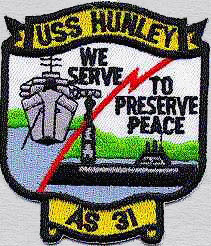 USS ETHAN ALLEN was the first ship of the Navy’s second generation of nuclear powered fleet ballistic missile submarines and the second ship in the Navy to bear the name. 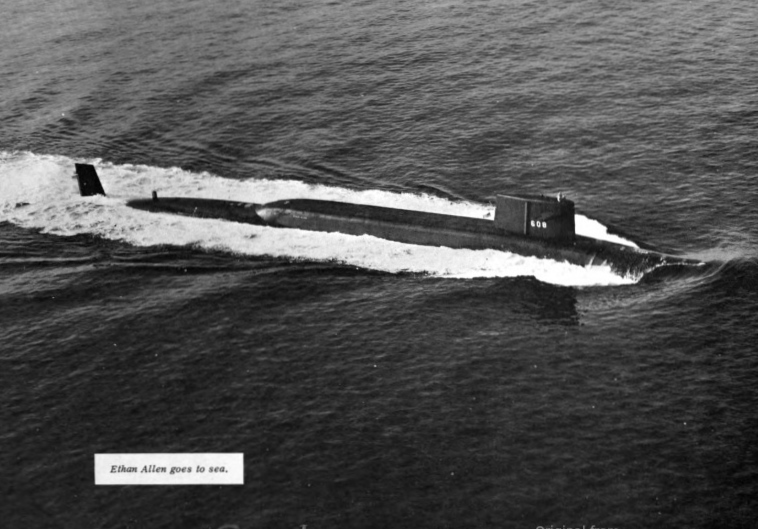 The nuclear-powered POLARIS submarine USS Ethan Allen (SSBN-608) joined the Fleet on 8 August 1961 at General Dynamics Corporation’s Electric Boat Division, Groton, Connecticut. Ethan Allen was commissioned by R Adm. George H. Wales, USN, Commandant, Third Naval District, in traditional ceremonies. The Honorable Paul B. Fay, Jr., Under Secretary of the Navy, delivered the principal address. Also participating in the ceremonies were V Adm. William F. Raborn, Jr., USN, Director of Special Projects, Bureau of Naval Weapons; V Adm. Elton W. Grenfell, USN, Commander, Submarine Force, U. S. Atlantic Fleet; Capt. William C. Hushing, USN, Supervisor of Shipbuilding at Groton; and Carleton Shugg, President and General Manager of Electric Boat Division. Following Under Secretary Fay’s address, Capt. 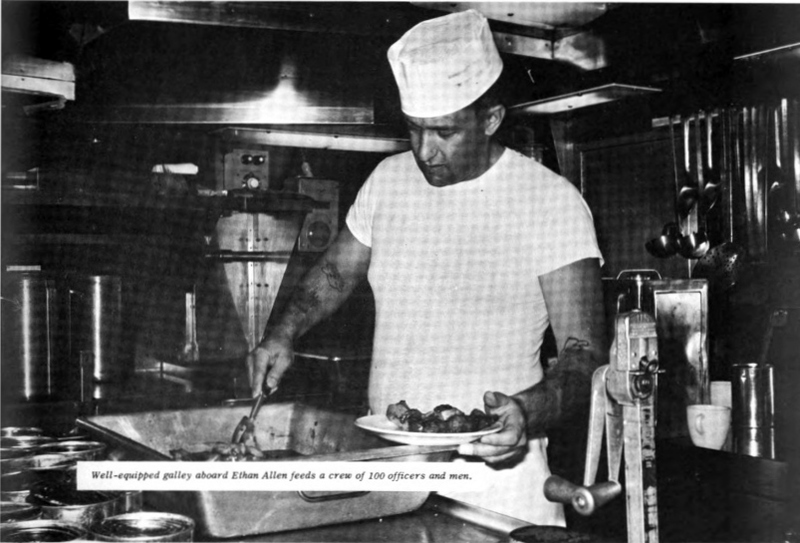 Paul L. Lacy, Jr., USN, the captain of Ethan Allen’s “Blue” crew, assumed command of the ship; and it took its place in the Fleet. 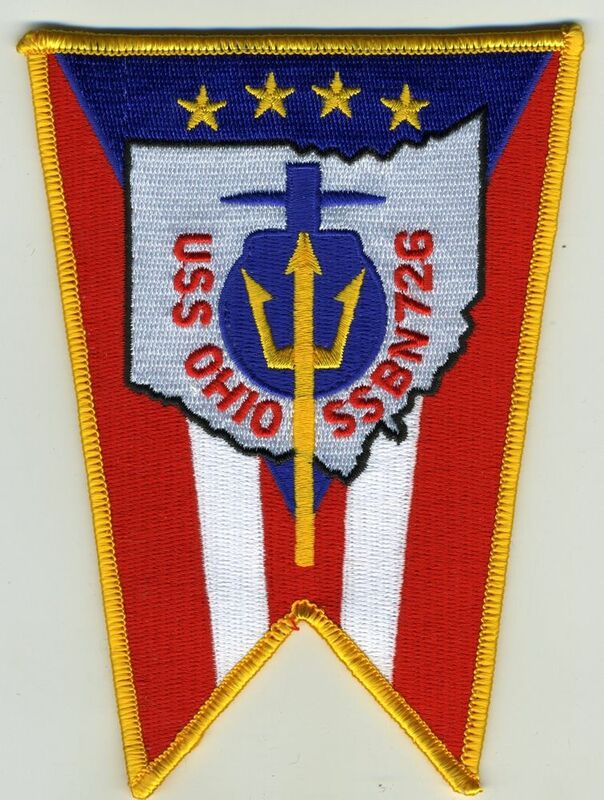 Commander William W. Behrens, Jr., USN, captain of the “Gold” crew, then assumed command of that crew. Ethan Allen was sponsored at her launching last year by Mrs. Robert H. Hopkins, of Brookline, Mass., a great-great-great granddaughter of Ethan Allen. 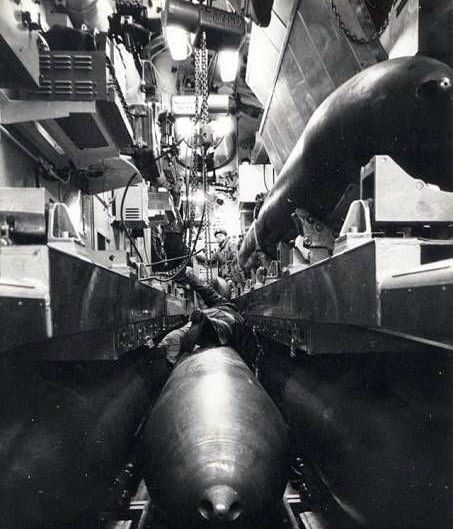 While operating in the Pacific as a unit of Joint Task Force 8 Operation Frigate-Bird, the ETHAN ALLEN fired the only nuclear-armed POLARIS missile ever launched on May 6, 1962. 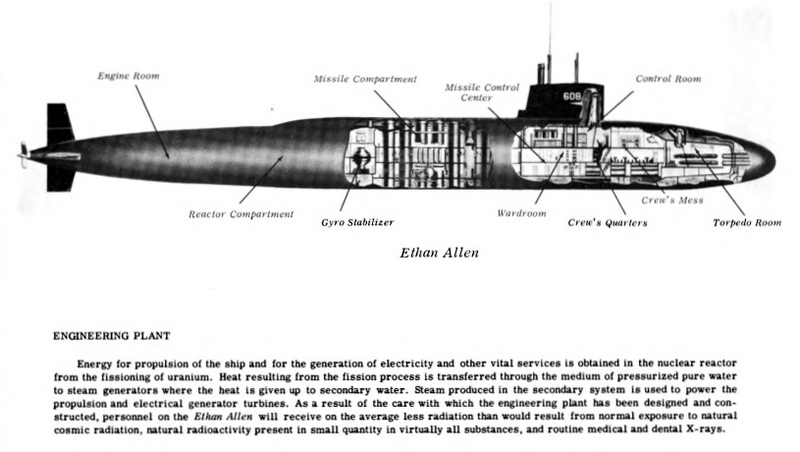 The Polaris A1 missile was launched while the ETHAN ALLEN submerged in the Pacific, and the missile’s nuclear warhead was detonated over the South Pacific at the end of its programmed flight. 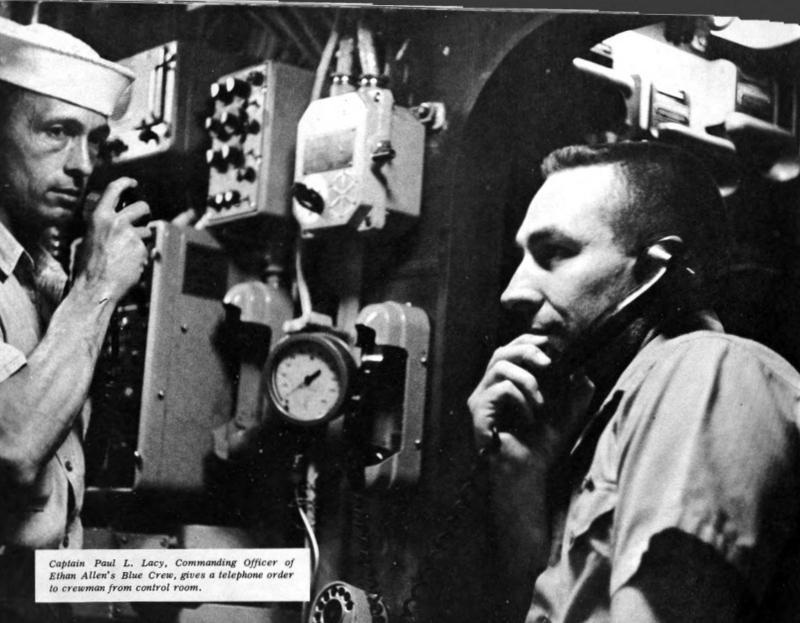 The shot was made during the 1962 atomic tests and hit “right in the pickle barrel.” The captain of the ETHAN ALLEN was Paul Lacy, and admiral Levering Smith was aboard. To date, this is the only complete proof test of a U.S. strategic missile. With the ban on atmospheric testing, the chances of another similar test are remote. 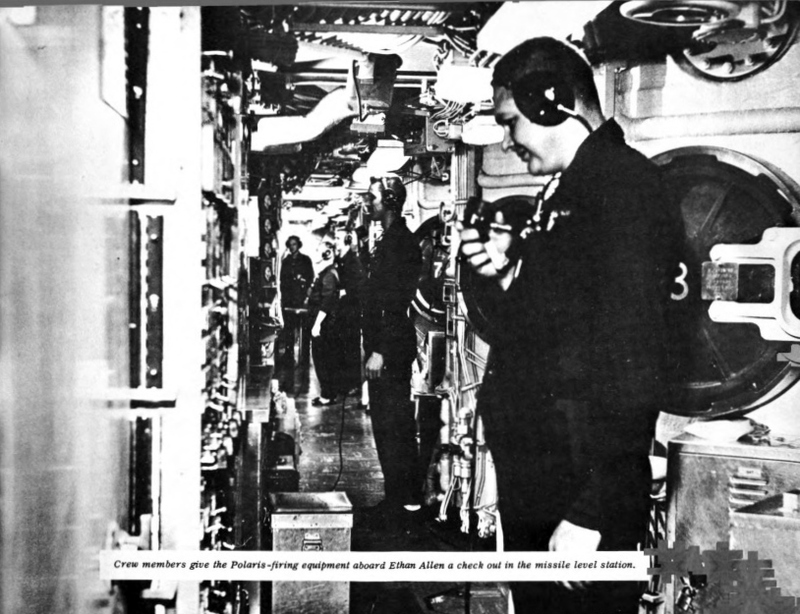 In May 1962, the submerged USS Ethan Allen (SSBN-608) test-fired a Polaris A-2 missile with a live nuclear warhead across the Pacific Ocean toward Christmas Island, 1,700 miles (2,700 km) away. The test, code-named Frigate Bird, was the only one the United States ever conducted of any nuclear ballistic missile from launch through detonation. After a 12.5-minute, 1,200-mile (1,900 km) flight, the warhead exploded in the air between 10,000 and 15,000 feet (3,000 and 4,600 m) high with a yield of 600 Kilotons. 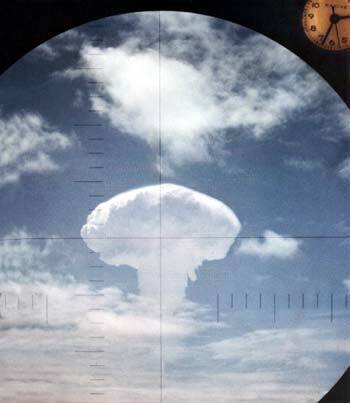 Thirty miles from the air burst at periscope depth, the waiting USS Carbonaro (SS-337) captured the mushroom cloud on film. 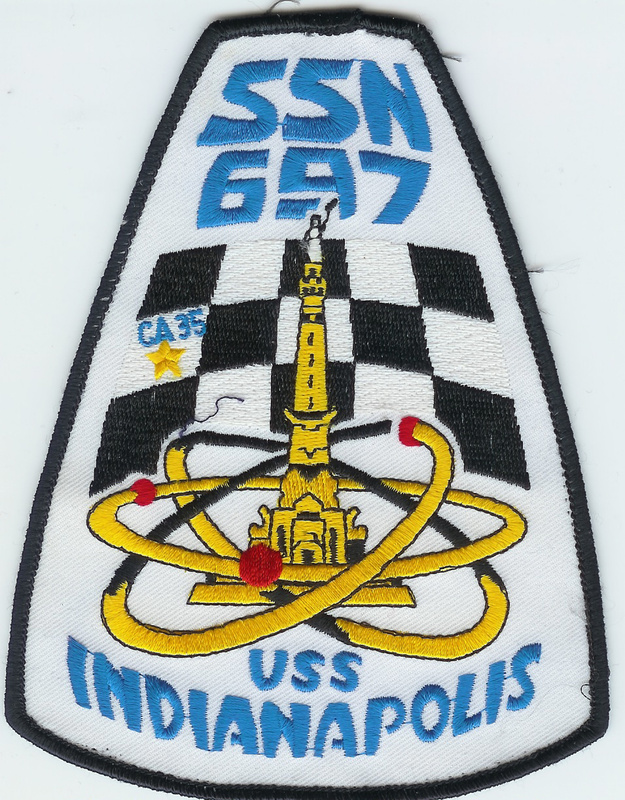 After 19 years of service, the ETHAN ALLEN was redesignated as SSN 608, but only served for 3 years in her new role. 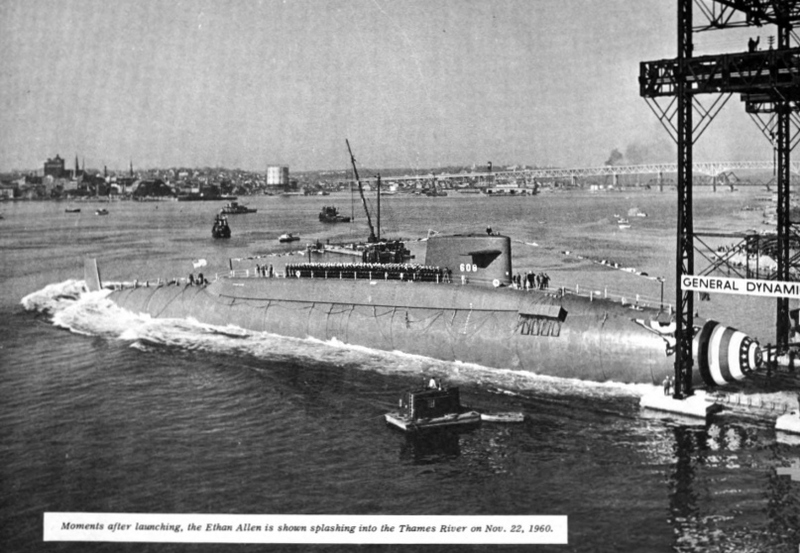 Decommissioned on March 31, 1983, and stricken from the Navy list on April 2, 1983, the ETHAN ALLEN spent the next years at the Puget Sound Naval Shipyard, Bremerton, Wash., awaiting to be disposed of through the Navy’s Nuclear Powered Ship and Submarine Recycling Program. 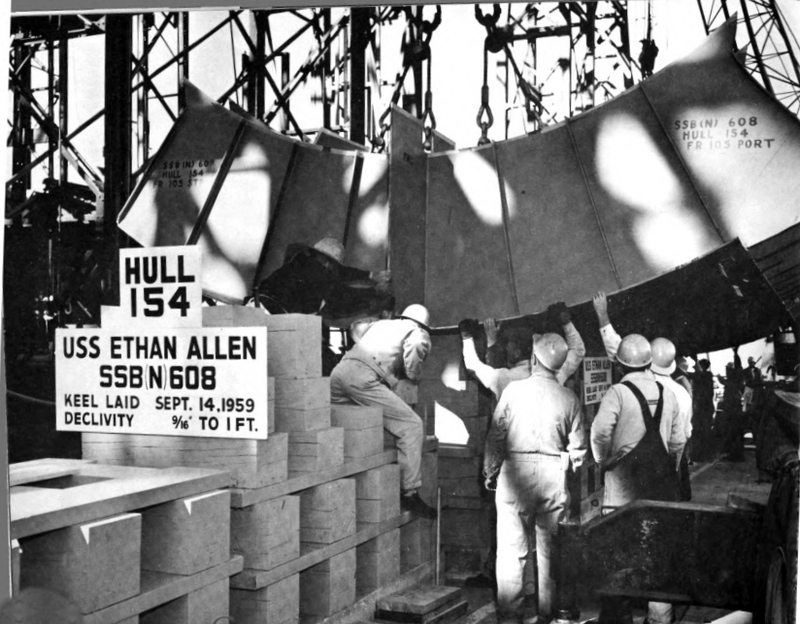 Recycling of the ETHAN ALLEN was finished on July 30, 1999. Builder: Electric Boat Co., Groton, Conn.
Ethan Allen, born 10 January 1737 or 1738 in Litchfield, Conn., is known chiefly for his leading role in securing the recognition of Vermont as a separate State. He served in the French and Indian War; organized and led the “Green Mountain Boys” in the controversy between New Hampshire and New York over the settlement of the area now Vermont; and in concert with a Massachusetts force commanded by Benedict Arnold took Fort Ticonderoga without bloodshed 10 May 1775. He died in Burlington, Vermont, 12 February 1789. “NAMED FOR Ethan Allen (1738—89), soldier, farmer, political pamphleteer, and frontier philosopher, best known for his exploits as leader of the “Green Mountain Boys” during the American Revolution. Ethan Allen was born in Litchﬁeld, Connecticut. His family, English in origin, had been farmers in Connecticut for four generations. Ethan was the ﬁrst Allen to have college aspirations, but his education was cut short by the early death of his father. As the oldest in a large family, it was his responsibility to manage the family farm. In the 1760’s he took up land with two of his brothers in the “New Hampshire Grants,” as the area, now Vermont, was called. Vermont was then the “frontier” of New England; still largely a wilderness but beginning to ﬁll up with land-hungry New Englanders who came in search of virgin soil. Even at that early date, farms were being abandoned in some older sections of the country because the primitive agricultural methods of the time—no rotation of crops, little if any use of fertilizer—had exhausted the soil. The settlers in Vermont were the ﬁrst wave in the continuous succession of migrations from settled regions into the unspoiled wilderness, so characteristic of the American way of conquering a continent. The settlers were from the start beset by jurisdictional conﬂicts arising from imprecise colonial charters. Such conﬂicts were commonplace in the New World which was parceled out in slipshod manner by Europeans ignorant of American geography. From the start, Vermont was in dispute between France and England, since she had been included in grants issued in 1603 by Henry IV of France and in 1606 by James I of England. Some of the ﬁghting in the almost continuous Anglo-French wars between 1689 and 1763 (when France was ﬁnally removed from America) took place there. Vermont was also in dispute between New York and New Hampshire, each seemingly having a valid claim under their respective royal charters. Upon the arrival of settlers with New Hampshire grants, New York brought the dispute before the Privy Council in London which decided in her favor—a decision bitterly resented by the settlers who were New Englanders and did not wish to be ruled by New York. In their ﬁght for independent statehood (which lasted two decades), Ethan Allen became their leader and his Green Mountain Boys their protectors against the hated “Yorkers.” More deeply committed to the autonomy of Vermont than to the independence of the confederated Colonies, Ethan Allen yet played a notable—if brief —part in the Revolutionary War. In Vermont, where I was born and where my people have lived since Colonial times, the name of Ethan Allen is well known, even if few Vermonters know much about the man. In foreign parts (which is to say, anywhere outside the small confines of the Green Mountain State), Allen, if heard of at all, is at best a misty character. The taking of a fort was responsible for putting Allen into history books and fine marble; and the taking of that fort, regrettably, is about all most Americans know of him. He appears suddenly in school histories as if rising by magic out of the dark backwoods for one magnificent moment. He is seen there at the top of a barrack stairs, waving his great sword and shouting his deathless incredible line. Then, just as suddenly, history swallows him again and he is seen no more. This is unfortunate, for not in the American scene has there been a livelier, lustier character than the late and profane General Allen. As a tosspot none could match him. His humor was often rude, and boundless always. He was a violent enemy, a staunch friend, and ever a highly original thinker. His command of language, including profanity, was so prodigious that many fine examples have been carefully preserved in old records, which seem still to glow with baleful light, such as brimstone makes. 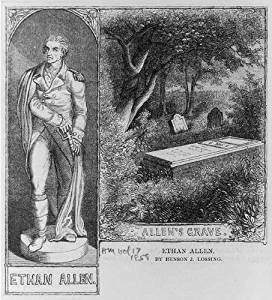 The Revolutionary War hero, Ethan Allen, first gave his name to a ship of the fleet in 1861. This earlier USS Ethan Allen was a bark-rigged wooden ship of 566 tons which was employed throughout the Civil War in blockade and raiding expeditions along the Atlantic and Gulf coasts. The man who gave his name to the bark Ethan Allen and the present Polaris submarine lives in history as the State of Vermont’s champion of liberty and independence. At an early age Ethan Allen showed his independent spirit and aggressive leadership. Settling in Bennington, then New Hampshire Province, he began a vigorous effort for the recognition of a politically separate Vermont. Continuing his fight for Vermont during the Revolution, Ethan Allen served as the colorful leader of the Vermont Militia, known to history as the Green Mountain Boys. In a historic raid he led his men across Lake Champlain and surprised the sleeping fortress of Ticonderoga. Capturing Fort Ticonderoga with all the dash and bravado for which he became famous, Ethan Allen contributed materially to the cause of American independence by preventing the southward advance of the British and by providing an appealing example of Continental success. The eventual victory in establishing Vermont as a separate state entitled Ethan Allen to an honored position in American heritage and earned for him the title of Father of Vermont. The USS Ethan Allen is one of the heaviest submarines built by any nation. With a length of 410 feet and a submerged displacement of 6,900 tons, she is comparable in size to a pocket battleship. Despite her size the ship is very quiet, maneuverable, and capable of submerged speeds in excess of twenty knots. She is capable of firing the 1500-mile Polaris missile. The ship is manned by 12 officers and 100 enlisted personnel. Two complete crews are assigned to the ship and conduct alternate patrols. The atmosphere within the ship is closely controlled so that the crew may live and work comfortably and efficiently. Oxygen replenishment is achieved by machines which generate oxygen from sea water. Other machines rid the ship’s atmosphere of contaminating gases and particles while still others provide air conditioning and air circulation throughout the ship. Fresh water is produced by the distillation of sea water. The most modern equipment for food preservation, storage, and preparation assures a steady supply of appetizing meals. Recreation and educational facilities are provided to occupy off-duty hours. Hopefully you learned a little bit more about the man and the submarine that was named for him. He truly represents the free spirit of the American sailors that gave their time and service on the ship that bore his name. First boat 73 to 76, A gang. Lot of years ago but had the honor of knowing some very good, capable and competent people.